Pens are printed "81.9% biodegradable" in the same color above the pen grip. • Barrel is manufactured from corn derivative bioplastic. Bio-degrades in as little as 12 weeks depending on conditions. • Environmentally friendly. Visit Eco-Green Writer information page for more details and complete specifications. 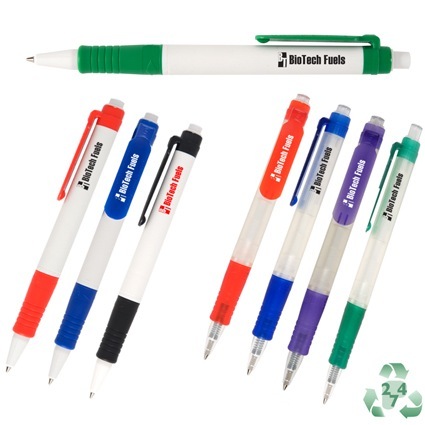 • All pens are printed "81.9% biodegradable" in the same color above the pen grip. Additional color/location run charge: $0.15 ea.